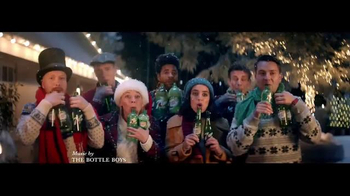 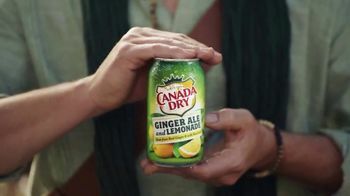 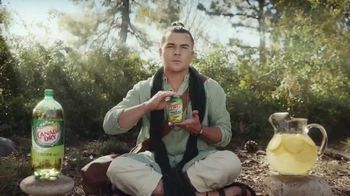 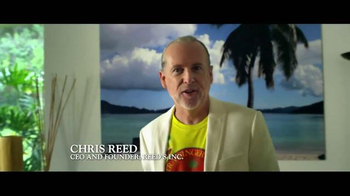 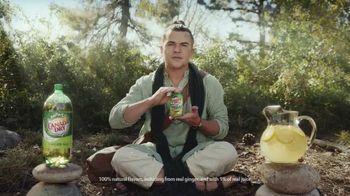 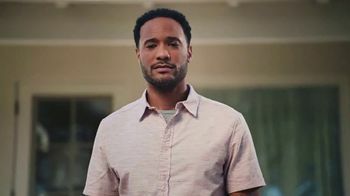 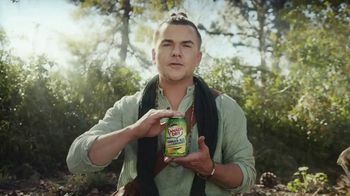 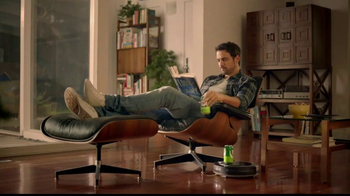 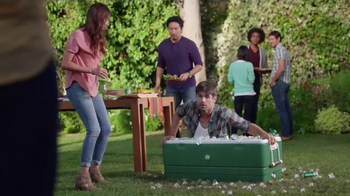 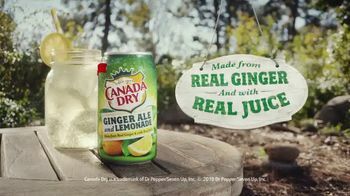 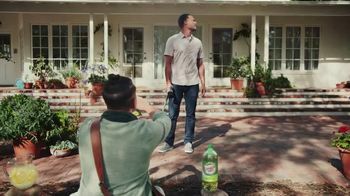 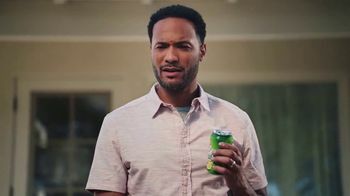 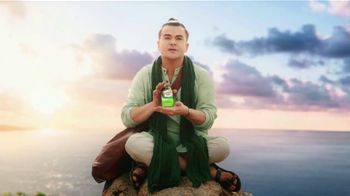 Zen music sets the tone for this guy with a man bun as he introduces the Canada Dry Ginger Ale and Lemonade. 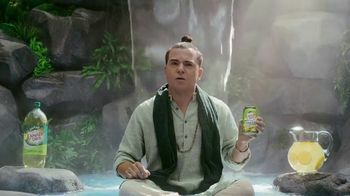 When he asks if you're ready to taste nirvana, the scene cuts to what's in front of him: a man who is trying to water his garden. 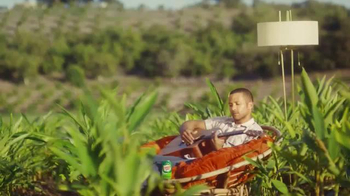 The man with the garden hose calls to his wife who excitedly says that yes, they would like to taste nirvana! 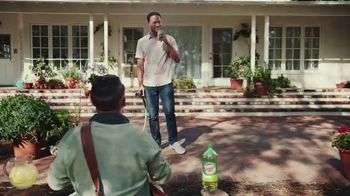 But, it's puzzling that the peaceful man has been sitting in their yard since Tuesday.